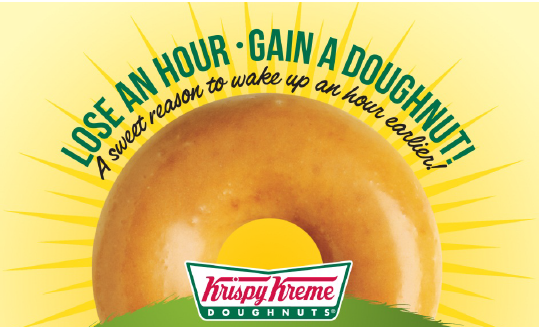 We are celebrating Daylight Savings Time on Sunday, March 9th by offering a FREE Original Glazed doughnut (one per guest) at participating US and Canadian locations. No purchase necessary. Remember, there’s a new Southside Krispy Kreme at 7130 Tim Price Way and the West End location at 4910 West Broad St.
And, it’s National Pancake Day tomorrow!